Achieving a killer beard takes more than just patience. It also takes grooming, shaping, and maintenance. While wild growth may have been acceptable in the days of cavemen, today there’s no excuse for a sloppy beard. 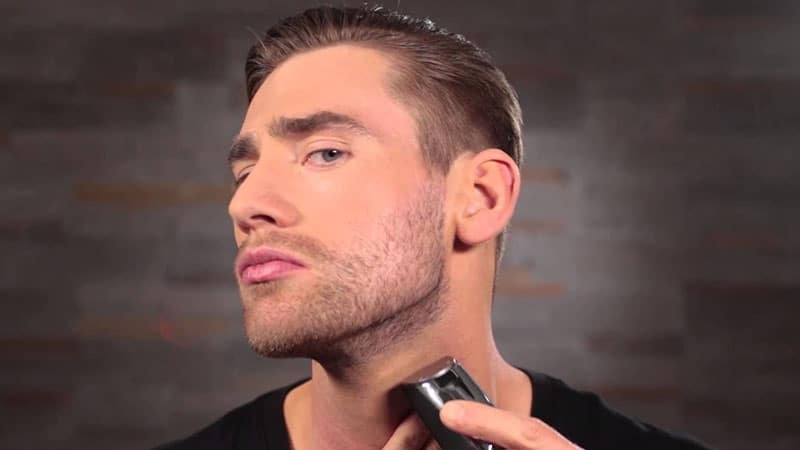 So, to ensure that your facial hair appears stylish and sleek rather than untamed and unsophisticated, you need to know how to trim and fade your neckline. As a messy neckline can make even the neatest of beards appear ungroomed, this is an integral skill for gents to know. Luckily, we can help you nail the perfect line for a prime patch of facial fuzz. All you need to do is follow this guide to trimming and fading a beard neckline in style. Before you begin to trim and fade your beard neckline, it’s essential to know where to cut. The neckline is an important part of your beard and can define its shape and appearance. As such, how and where you cut it can dramatically enhance or diminish the look of your facial hair. 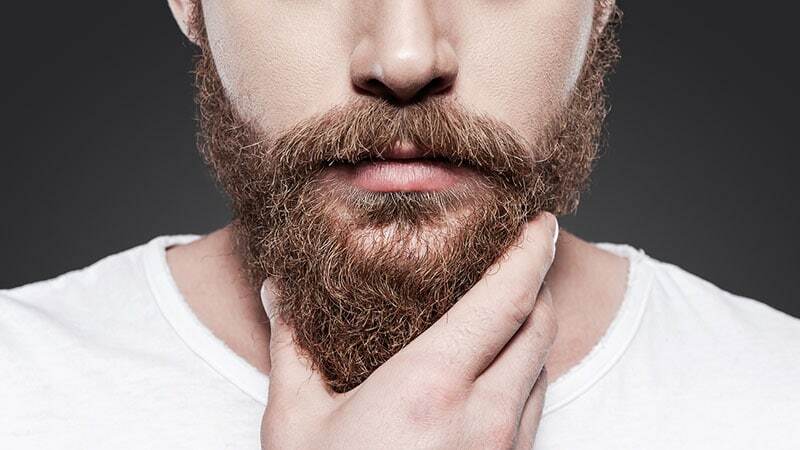 To get it right, use the “two fingers” rule to find where your beard should end. While many gents shave their beards to finish right along the jawline, facial hair that ends at a point on the neckline is far more flattering and appealing. 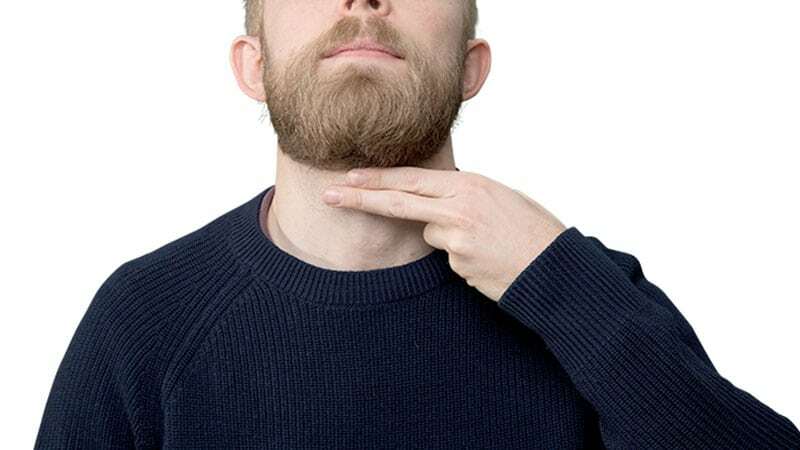 To find the ideal line for your beard to finish, start by placing your middle finger on the centre of your Adam’s apple. Then, situate your index finger above it. The point directly above these two fingers is the ideal spot for the lowest section of your facial hair. Now, all you need to do is visualise or mark out the rest of your beard neckline. To do so, you can create a curve that reaches from ear to ear and passes through the point you found earlier. This curve should appear as a semi-circle when looking straight in the mirror and will be the ideal line for your beard to finish. Now that you know where to finish your facial hair and cut your beard neckline, you can begin the process of shaving. To do so, grab a pair of clippers and adjust them to be two settings below your beard length. Now, clip all the hair below the line that you have visualised, buzzing the area carefully and neatly. If you wish to create a natural and subtle finish to your beard, you will need to fade the neckline. You can do so by adjusting your clippers again to be one or two settings shorter. Then, target the same area above your Adam’s apple, trimming the bottom half with this shorter setting and leaving the top half at the length of the original setting. 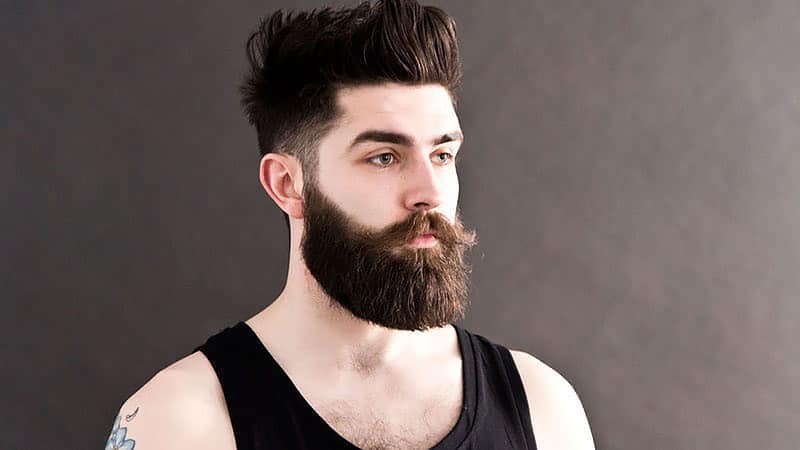 Doing so will create a tapered finish to your beard instead of a hard, dividing line between your skin and strands. Afterwards, don’t forget to buzz all remaining stubble and stray hairs between the bottom of the faded line and your chest hair for a clean finish. If you want a well-groomed beard and neckline, trimming and fading are important, but aftercare is also an essential step. To keep your facial fur looking its best, you need to regularly clean it and use a quality beard oil or conditioner. 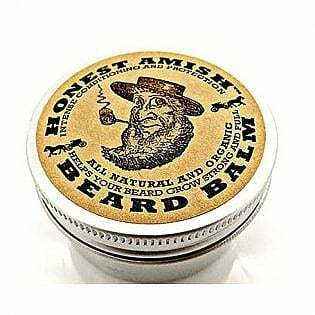 Using a good oil or balm can transform your beard from rough, ragged, and coarse to smooth, soft, and sophisticated. 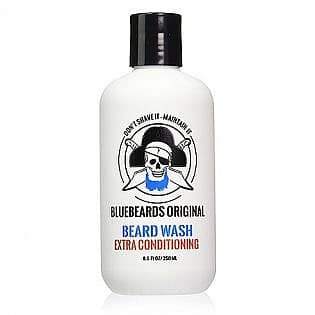 As these products are designed to hydrate and nourish your hair and the skin beneath, they are ideal for achieving a healthy beard that’s easy to manage. They’ll also help to moisturise your skin to keep itching and flaking under control while additionally working as a styling agent. Best of all, by maintaining a proper aftercare routine, you’ll be preparing your beard for a pleasant shaving experience the next time it’s needed. If, after using beard oil, you still find that shaving or trimming irritates the skin on your neck, try applying moisturiser or aftershave following the process. Once you’ve achieved an ideal beard shape and length, regular maintenance will be essential to keep it looking its best. As such, knowing how to trim your beard properly is an important skill to master. Not only does this mean cutting the length to appear even and neat, but it also means redefining your beard’s edges, shape, and neckline. To begin the process of grooming your beard, start by adjusting the length of your facial hairs to be even. You can do so with either a pair of scissors or clippers. Then, focus on tidying the edges and recreating your intended beard shape. While doing so, it’s important to clean up any stray hair on your cheeks and trim the growth around your neckline. To trim your neckline, you can use the same clipper setting as you originally did to create the line. Even if you have a full, thick beard, you will still want the hairs between your neckline and Adam’s apple to appear short and neat. Like any craftsman, a barber is only as good as his tools. This same premise also applies to you when you’re shaving, fading or trimming your beard. 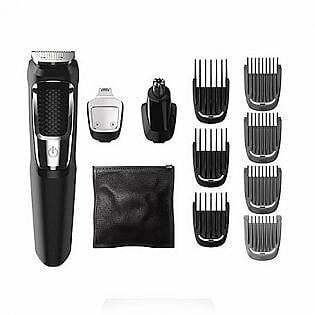 To create the perfect beard neckline, you need to invest in the right tools for the job. As such, high-quality electric clippers are essential. 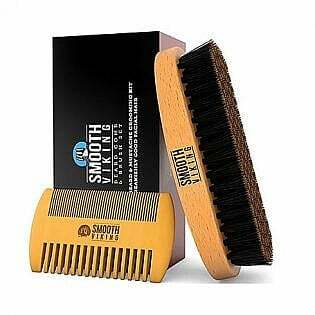 With the right clippers, you will be able to create a clean and consistent shape and length to your beard and neckline. 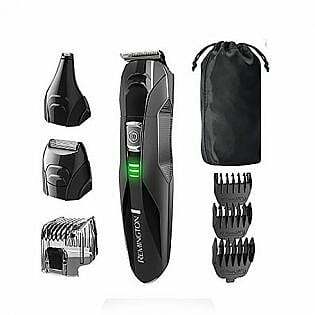 You’ll also be able to adjust the setting to achieve a stylish fade that appears natural and gently tapers from long chin hairs down to the skin of your neck. If you wish to create a close shave on your neck or a defined neckline, you can also opt to use a manual razor, but be careful not to alter the shape accidentally. Know and visualise where your beard neckline should be before shaving. Do not finish your beard along your jawline. Your beard neckline should extend in a curve from ear to ear, passing just above your Adam’s apple in the middle. 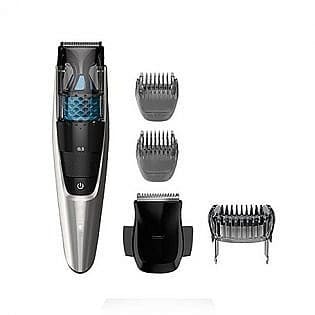 Use high-quality electric clippers at two settings below your beard length to create your beard neckline. 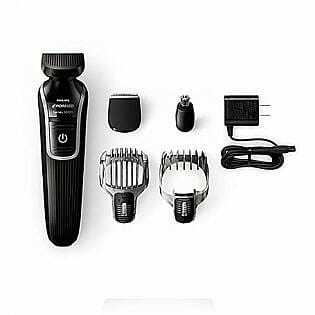 Set the electric clippers one or two settings lower again to fade your neckline for a natural and gradual end to your beard. 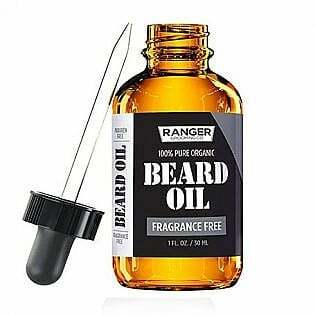 Maintain the length and quality of your beard and neckline by regularly trimming and conditioning with beard oil.